The images below show an “Aggregated Systems” floor we installed at ABCRC in St. Albert back in December. This was our largest project to date at nearly 80,000’. We had a great team of guys on this project where we installed thousands of gallons of resin and literally tonnes of aggregate. Contact us during your planning phase and we’ll help take the stress out of your decision making and provide an on-premise, no-obligation quote at your convenience. Call 403-547-5597 today. Yep, we’re all tired of the cold temps of winter and ready to start planning our outdoor projects for spring and summer. If you’re thinking of making some changes to your concrete surfaces, there are a variety of ways to add pattern, texture, colour and interest at affordable prices. 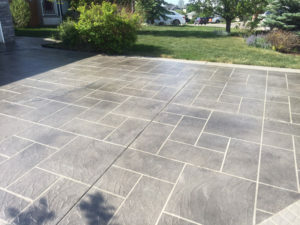 Consider stamped concrete as a decorative option to transform your driveway, walkway, porch, patio, pool deck, sidewalks, and even, basement. 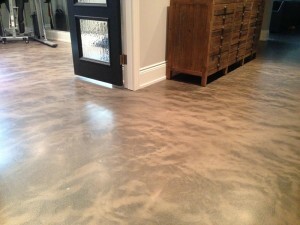 Stamped concrete, also known as textured concrete, is a popular option and is available in many patterns and colours. Stamped concrete is poured just like regular concrete, but patterns and textures are added in before the concrete dries. It is a delicate process that requires some expertise and special tools. That said, it is still less expensive than most other materials such as natural stone or brick. 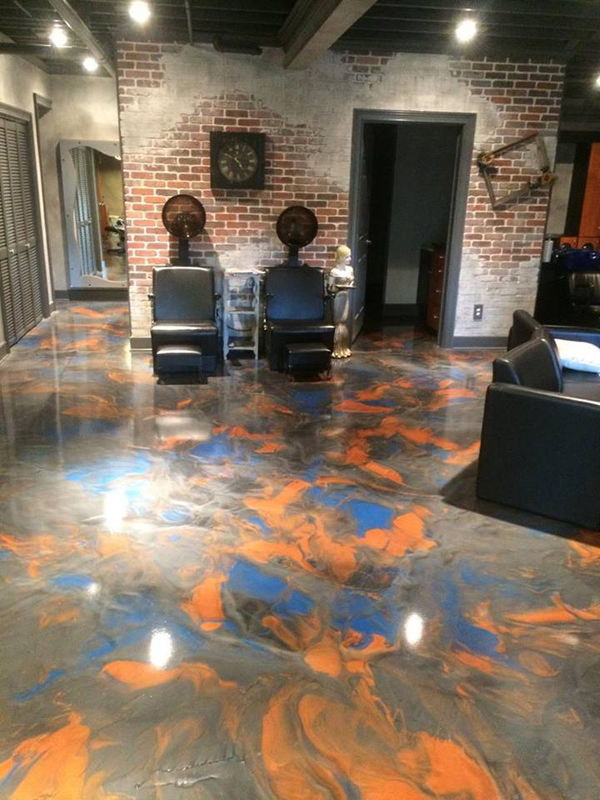 Hardscapes specializes in refinishing, repair & other decorative concrete services for residential and commercial properties. Discover the details about how we can customize your project and bring your unique design ideas to life. Questions? Give us a shout 403-547-5597. 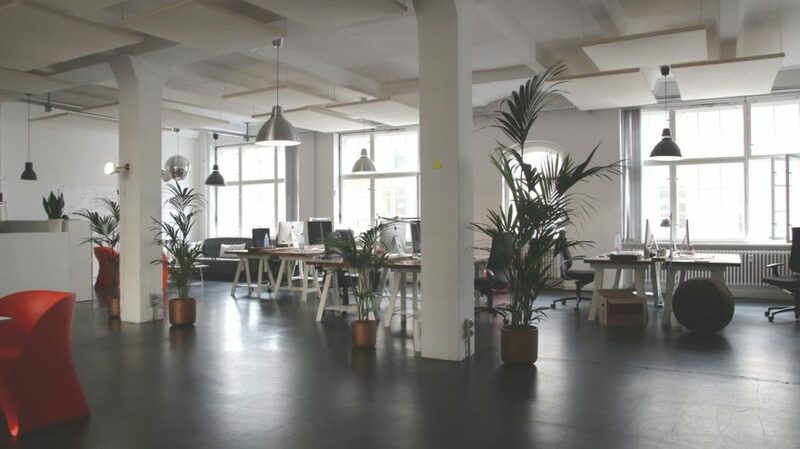 There are tons of reasons for updating our space. As winter turns to spring it’s the time of year that we all get that urge to make changes in our living and work environments. From freshening up with a new surface colour, to completely replacing flooring, and even simply, repairing some old, ugly surfaces, it feels good to improve our surroundings. Hardscapes has a number of concrete solutions to update, repair and rebuild your concrete surface. 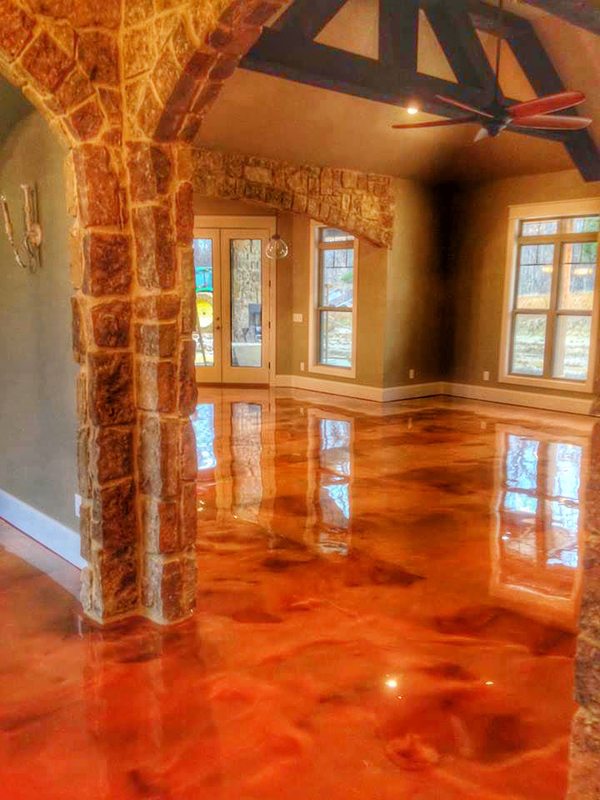 We specialize in decorative concrete overlays, engraved and stained concrete floors, epoxy coatings, garage floor coatings, floor coating and grinding removal, polishing and densifying, sealing, sandblasting and industrial/commercial floor coatings. 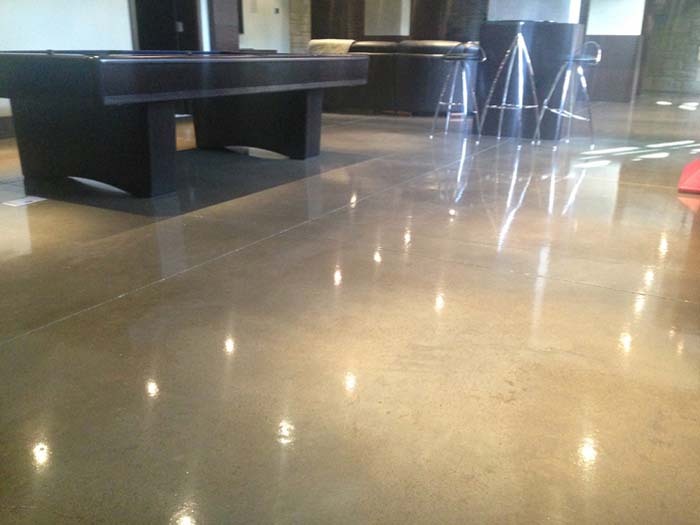 We have a concrete solution for every situation. 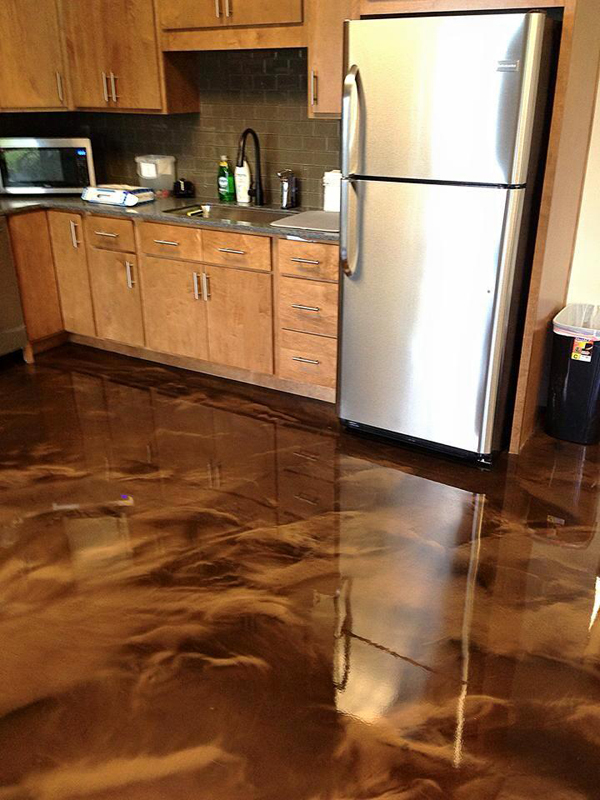 Call the professionals today at 403-547-5597 for a quote. Feeling proactive about your upcoming project?! 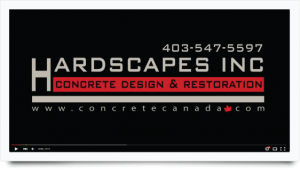 If you have a concrete project you’d like to get under way in 2019 give us a call at 403-547-7797. We look forward to discussing your ideas and working with you to bring them to life! 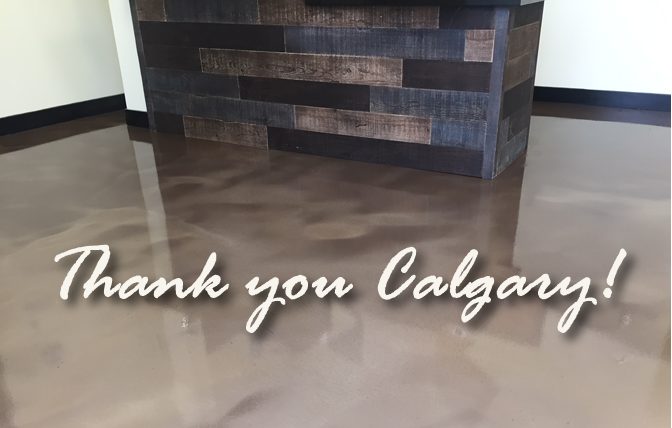 Here at Hardscapes Inc. we’ve just closed off our 22nd year of providing quality concrete coatings and seamless flooring solutions to our Calgary customers. We have seen many changes in the industry over the years and have worked hard to stay current with the latest in coating technology. We pride ourselves on our attention to detail which is why we have maintained relationships with many of Calgary’s finest home builders, designers and general contractors. Concrete flooring has stood the test of time and is still increasing in popularity as more and more people seek a custom “one of a kind” floor. We’d like to thank all of our valued clients for their continued support over the years and look forward to continued growth and new relationships.